Get Info panel: detailed information about a selected file. Extended file information in the Technician version: disk regions and overlapping files. Advanced options in file recovery lists in the Technician version: specific file system info, overlapping files, disk regions, etc. Files from Extra Found Files (raw files) can be automatically excluded from recovery if they are duplicates of files found in the real file system. Support for NTFS cluster sizes from 128KB to 2MB. A complete redesign of the Find/Mark dialog box. Support for ReFS 3.4 file system. A completely overhauled file previewer which can show picture tiles and first frames of video files as icons, and supports a large number of video/audio/graphic/document file formats. These files can now be played back without their respective applications installed. Support for APFS, including encryption. Support for Apple CoreStorage/File Vault/Fusion Drive. Automatic recognition of newly connected/disconnected USB devices. Improved support for the NTFS log. Support for ReFS2+ file system (Windows 2016 Server). Support for NTFS data deduplication. New extended duplicate file processing options. A new data analyzing and recovery kernel that improves data recovery speed and results. Symlink recovery options in the Technician version. File system journal processing for the HFS+ and Ext3/Ext4 FS file systems to increase a number of successfully found files. Support for extended attributes in HFS+, Ext3/Ext4 FS, and UFS file systems. This refines recovery of the Mac OSX Time Machine and Linux selinux ACL. Optimized memory usage for large disks scanning. Improved folder tree discovery for deleted files on the Ext3/Ext4 FS and UFS partitions. A regular region can be converted into an exclusive one. A new advanced algorithm for recovering exFAT partitions. Support for Windows software RAIDs with unsynchronized disks. A new advanced algorithm for raw file recovery (search for file signatures). The Hex editor extension: A file location is shown in a particular disk sector. More reliable and significantly faster recognition of NTFS and FAT partitions. Search for deleted file versions. R-Studio can search for deleted file versions using their sizes, names and extensions, and recognized file types as the search parameters. Automatic support for Windows Storage Spaces (Windows 8/8.1 and 10/Threshold 2) even with small database damage. They can be manually assembled if their databases are totally corrupted on some parents. Automatic support for software Mac RAIDs. Members with severe corrupted RAID parameter records can be added manually. Automatic support for Linux Logical Volume Manager (LVM/LVM2) even with slightly damaged RAID parameter records. Components with severe corrupted RAID parameter records can be added manually. New GUI languages: Traditional Chinese, Simplified Chinese, and Portuguese. Handling of severe hard drive read instabilities: R-Studio Technician provides features at the hardware level of hard disk drives, based on its integration with professional data recovery equipment DeepSpar Disk Imager. Support for ReFS (Resilient File System), a new local file system Microsoft introduced in its Windows 2012 Server. Support for Windows 2012 Server OS. Support for RAID5 with parity delays often used in HP servers. Support for "nested" and "enhanced" RAID levels: RAID10 (1+0), RAID1E, RAID5E, RAID5EE, RAID6E. R-Studio Agent for main PC OS: Windows, MacOS, Linux. Simultaneous image creation and scan. Now R-Studio can create an image and, at the same time, scan the data from the image. As a result, two files are created at the same place: an image file and file with the scan info. File Recovery Lists: lists of files from disks that can be exported out of R-Studio, manually edited, than imported back, and files from those lists will be automatically marked for recovery. Such lists are very useful if you want someone who is far away to decide which files are to recover. Image and scan info files may be saved on and load from, remote computers. This helps R-Studio to avoid transferring large data volumes over network during network recovery. NAT/firewall traversal. A connection can be established either from R-Studio to R-Studio Agent, or from R-Studio Agent to R-Studio. This allows R-Studio to traverse NAT/firewall when recovering data over the Internet. HTTP tunneling is used when necessary. Scan algorithm improvement. Scanning was improved for FAT and NTFS partitions. In-place saving of recovered files on a remote computer. When recovering data on a remote computer over network, R-Studio can now save recovered files to another disk of the same remote computer-to an external USB hard drive, for example. Moreover, the remote computer can be connected to the Internet rather than to a local network. This feature is especially useful for data recovery technicians and corporations, which can now serve their clients truly remotely over the Internet and do not need to transfer large volumes of data over network. In addition, files recovered from a remote computer can be saved to a local computer or on another remote computer with an Internet connection where R-Studio Agent is running. Forensic mode (Technician version only). In this mode, R-Studio generates a forensic data collection audit log that can be presented at court hearings. This log includes information about a hardware configuration on which the forensic data collection takes place and MD5 checksum for recovered files. Support for 64- and 32-bit Windows versions. Under a 64-bit Windows, R-Studio overcomes the 3GB RAM limit for a 32-bit application and utilizes all physical RAM installed in the 64-bit Windows machine. This greatly enhances performance of the software, especially when scanning high-capacity disks. Progress bar. It shows the progress for an individual file being recovered and overall recovery process, elapsed and remaining time, and recovery log. Clickable links in the text/hexadecimal editor. Those links provide direct jumps to important parts of objects being analyzed and edited. Support for digital camera raw images. Canon, Fuji, Minolta, Nikon, Olympus, Sony, and Sigma are now supported. Versatile data visualization. R-Studio can show data on the disk either as a real folder/file structure or as files sorted by their extensions, or Creation/Last Accessed/Modification times. Support for mass file recovery. R-Studio can automatically apply data recovery options for all files to recover. Common Find/Mark dialog. R-Studio can automatically find and mark multiple files matching search options specified on the Find/Mark dialog. * The Windows version of R-Studio cannot be installed and run on a Mac OS system, but a hard drive with HFS and/or HFS+ partitions can be attached to the Windows machine and processed by R-Studio. You may also download R-Studio for Mac version that was designed for the Mac environment and can be installed and run on a Mac OS system. Apple Computers support. New R-Studio Emergency version can be run from CD on Intel- and PowerPC- based Macintosh computers. Big Endian variant of UFS support. GPT partition layout schema support. This schema is used in 64-bit Windows OS. APM support. Apple Partition Map (APM) is a partition scheme used to define the low-level organization of data on disks formatted for use with Macintosh computers. Support for various unusual RAID configurations. Parameters like block size and order, offsets, and even the number of stripe blocks can be explicitly specified. A visual editor is provided to create a specific block order. Such user-defined configurations can be saved for further use. R-Studio Technician Portable was added to the R-Studio Technician package. The portable version can be run from a USB storage device. Compressed image format support. When R-Studio creates an image of the disk or its part, the image can be compressed and split into several files to put it on CD/DVD/flash drive or FAT16/FAT32*. * R-Studio reads and opens the created image only for the purpose of data recovery. For disk imaging and restoration tasks please consider R-Drive Image software. 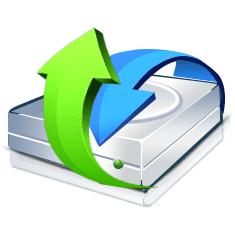 - to recover files from devices with unknown file systems, including HD, CD, DVD, floppy disk, Compact-Flash Card, USB drive, ZIP drive, Memory Sticks and other removable media. UFS1 and UFS2 file systems support. UFS1/UFS2 file systems are used in FreeBSD, OpenBSD, NetBSD, and Solaris operating systems. R-Studio Emergency version. * R-Studio Emergency version was developed and added to R-Studio packages at no extra cost. R-Studio Emergency version is run from a compact disc or floppy disk set when it is necessary to recover data on a computer, on which Windows cannot start up because its system files are corrupted or deleted. * R-Studio Emergency version is a part of R-Studio software package. When you buy R-Studio single license you may run R-Studio Emergency and/or install R-Studio version on one and the same PC only. You may not transfer the licensed software to another machine. Scan process visualization. While scanning an object R-Studio graphically shows items that have been found, including files of known types, FAT and NTFS MFT records, boot records, etc. On-the-fly registration. * R-Studio and R-Studio Emergency Demo versions can be registered on the fly, and R-Studio users don't need to reinstall a retail version when their files have been already found. * The R-Studio Emergency activation key is generated separately, and a hardware code is necessary to obtain it. The activation key can be requested through Client Portal within one year from the date of purchase. Enhanced remote host scanning procedure. In the new R-Studio network versions, data is analyzed on the remote host rather than on the local host thereby greatly increasing the speed of the recovering procedure. Universal disk editor. R-Studio includes an advanced hexadecimal editor to inspect and edit file system structures (NTFS and FAT boot sectors, MFT file record, MBR, LDM structures, etc). Using XML-based language (described in the software Help and Manual), R-Studio users can create own templates to parse files and file systems. The disk editor is particularly helpful for specialists in low-level data processing, IT security, data recovery and computer forensics.